The Halibut is a stable inflatable kayak designed specifically for angling with an adjustable height seat, solid standing platform & several rod holder options. For those needing a lightweight & easy to store fishing kayak for inland & sheltered coastal waters. The Gumotex Halibut is an inflatable fishing kayak with a huge array of features for the keen angler. At 12.5 ft long and 38” (nearly a meter) wide the Halibut is stable enough for standing and more than capable of holding all the gear needed for a productive day on the water. The comfortable high backed chair is fixed to a wooden seat for rigidity and there are rigid floorboards to make casting easier. Directly in front of the seat is a board for fixing a rod holder and fishfinder as well as serving as a hard surface for bait preparation. The Halibut is unique amongst inflatable kayaks as it has so many angling specific features including an anchor trolley and rod holders. There are also carry handles on each end as well as the sides and a perimeter rope for safety and to clip on rod tethers etc. There is plenty of space for a crate in the rear. There is a fin fitted to the hull to increase straight line tracking and the boat is made from super tough Nitrilon which dries quickly and easily. The Halibut comes with a 100l drybag to store and carry it in making for easy transport to and from the launch site. As well as anglers the Halibut will suit birdwatchers and anyone needing a strong and rigid inflatable for lakes, rivers and calmer estuaries. 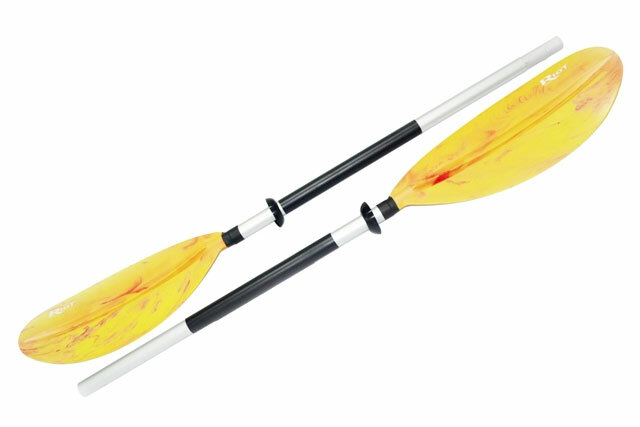 The Riot 2 Piece split paddle is ideal for use with inflatables as it breakdown into 2 pieces to pack away as small as possible. Constructed from a strong alloy shaft with sculptured polypropylene blades. Length: 220cm. Constructed from a lightweight fibreglass shaft with an asymmetical nylon blade. This is a robust paddle that is also light & easy to use. It can be set left or right handed with 0� feather option. 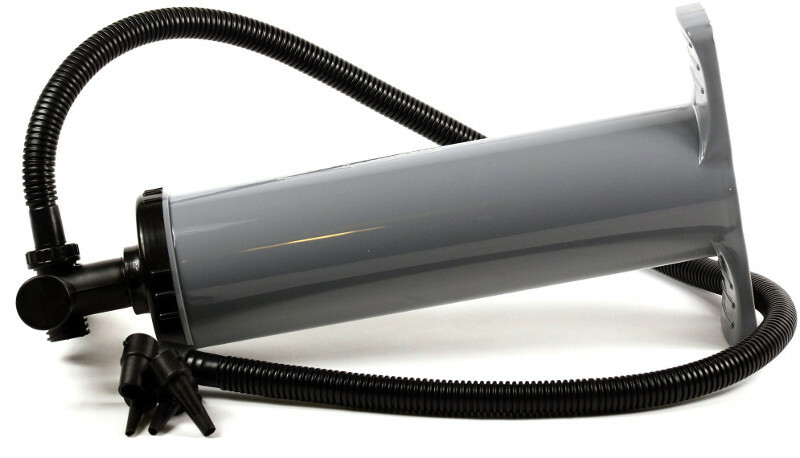 The Dual Action Hand Stirrup Pump is a very efficient hand pump ideal for inflating inflatable kayaks. This is dual action pump meaning it inflates on the up and down stroke. Dimensions: 45 x 23 x 11 cm. 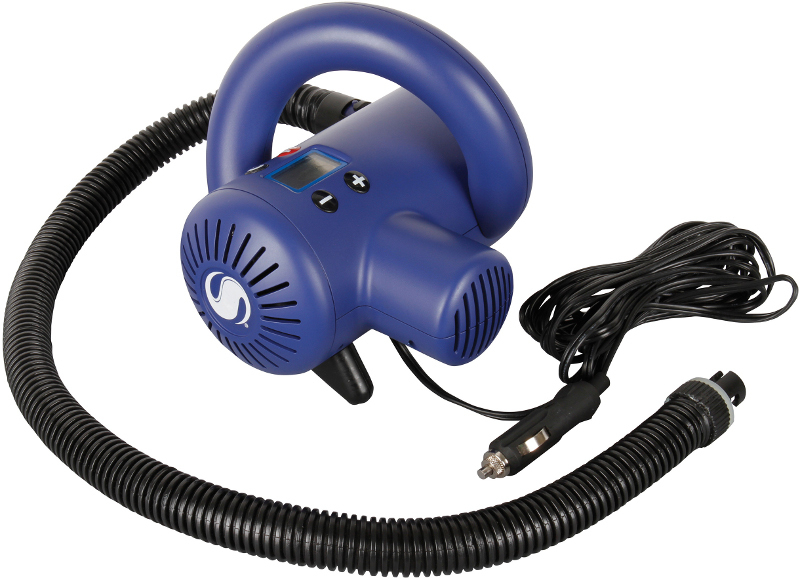 This 12V Electric pump is a compressor type pump that features a pressure unit selection, PSI, Bar & Kpa. Its automatic stop feature means that when your inflatable has reached its preselected pressure it automatically switches off. 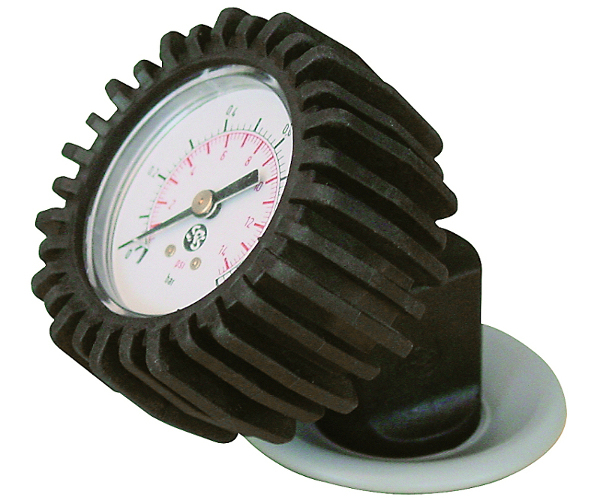 A pressure gauge for Gumotex push-push valves to allow you to measure the pressure of an inflated boat. The recommended pressure is normally printed on each kayak close to the valve. We offer a delivery service for the Gumotex Halibut Touring Kayak to home and work addresses throughout England, Wales, Scotland, Northern Ireland & Ireland. Buy a Gumotex Halibut Touring Kayak online from our website and collect from our store in Newhaven, East Sussex or from any branch within the Canoe Shops Group. There is no cost associated with this*.